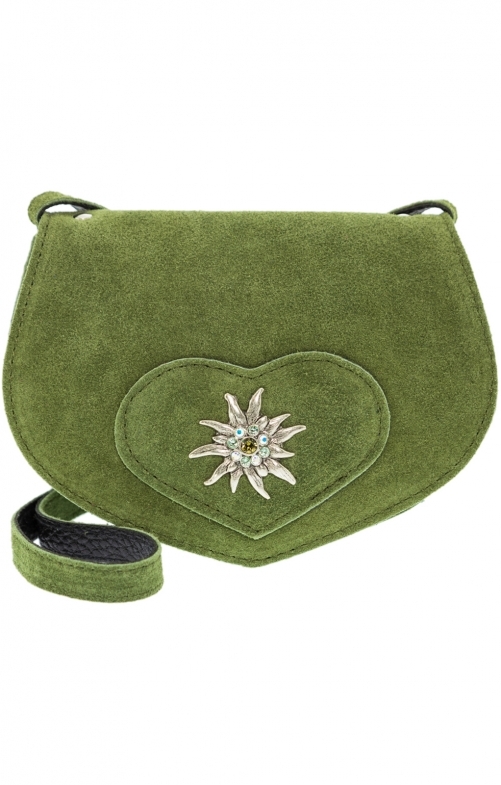 High-quality traditional leather bag TA30110 by Schuhmacher with edelweiss motif in olive. The ladies' accessory made of genuine suede scores as a decorative eye-catcher. The handbag in saddlebag design is adorned with a large silver gentian with rhinestone trim. The bag with the generous shoulder strap closes quickly and safely thanks to magnetic closure. Ideal for parties and parties.